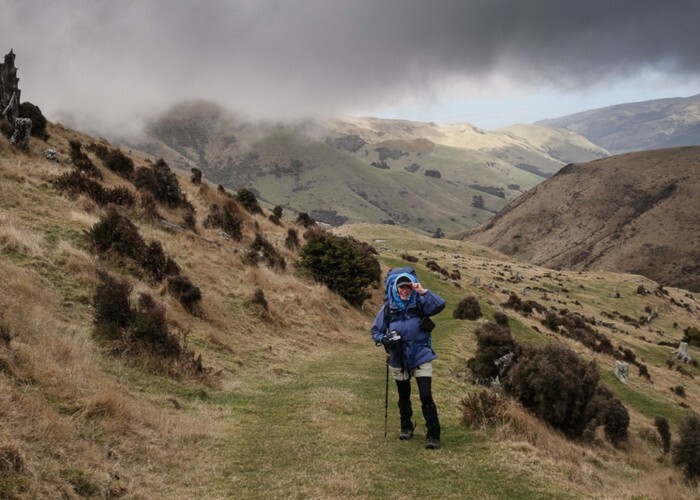 Climb from the head of the Kaituna Valley to Te Ara Pātaka, and the network of tracks running from Purau Saddle, Mt Herbert and Port Levy Saddle. Monument Track • By JETNZ. 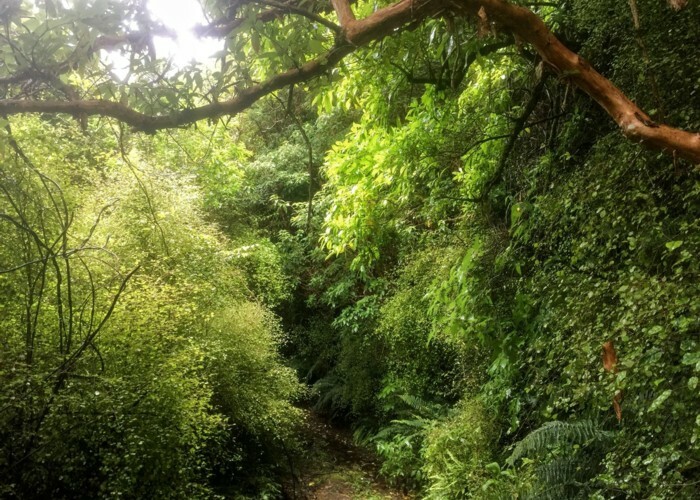 Licence: C.
This short walk is a useful connector to the longer track, Te Ara Pātaka, which runs between Gebbies Pass and Hilltop. But it is an excellent walk in itself. The track provides an easy grade suitable for all ages, and explores some diverse forest at the head of the Kaituna Valley. The track can be wet and muddy in winter or wet weather. Monument Track (south) • By Matthew. Licence: C.
Heading away from the highway, Kaituna Valley Road becomes a single lane, hemmed in by forest on both sides. The track starts at an obvious car park at the head of the valley. Follow the vehicle track uphill and past the the yard of the homestead. Cross a bridge over the Kaituna River, then watch for the poled route up onto the hillside to the right. The track here is surrounded by rich regenerating forest, including a few mature podocarps and plentiful fuchsia. There are some lovely stands of ferns in this section, particularly blechnum fluviatile (kiwa kiwa). The track crosses a clearing and heads through a gate before climbing onto a scrubby hillside and sidling up the valley. Old tōtara logs and stumps dot the hillsides here, memorialising past destruction. However, there are also a good number of young tōtara trees, making a start on repairing the land. Just short of the top, the vehicle track branches off uphill to the left, then connects with Te Ara Pātaka. This junction is signposted. Mount Herbert / Te Ahu Pātiki is to the left, about 1 hour, while Port Levy Saddle is to the right, about 1 hour. Added 22 February 2015 by HonoraHonora. 2 revisions, most recently 2 December 2018 by MatthewMatthew.